​Tanya Zyabkina is a Director of Marketing Analytics at Charter Communications in Columbus, OH. She has 15 years of experience in marketing analytics in telecommunication and retail industries, using large transactional datasets to determine effectiveness of marketing programs and provide recommendations for improvement. Her expertise is designing experiments that measure changes in consumer behavior and building customer knowledge base for better decision making. 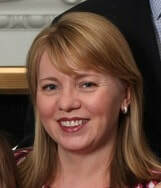 Tanya holds a Master’s degree in Economics from Novosibirsk State University and an MBA from The Ohio State University. Prior to Charter Communications/Time Warner Cable, Tanya’s engagements included AutoZone and Limited Brands.